You can purchase the new 18-page Kids' Wings Unit The SOS File by Betsy Byars! NOW for immediate download for only $12.95! Sharable with your school! Click Here to Download. ...---... SOS! HELP! ... --- ... SOS! HELP! ... ---... SOS! HELP! Now my teacher, Mr. Magro, wants me to write about my SOS, my biggest emergency. Well, first, I guess I have to have an emergency! Nothing ever seems to happen to me. Oh, well, come to think of it, there was the time I ate all the chocolate candy bars I was supposed to sell for the fund raiser. We get to put our SOS stories into a special file. Do you have an SOS story? Maybe after you read ours, you'll write one for your teacher's SOS file! I could about the time my little sister, Kathy, set the toilet seat on fire. I wonder, would that be an SOS, Mr. Magro? I promise you'll love our short stories about our biggest emergencies in The SOS File! The illustrator is Arthur Howard! His cartoons of us are way cool! either write things worth reading or do things worth writing." 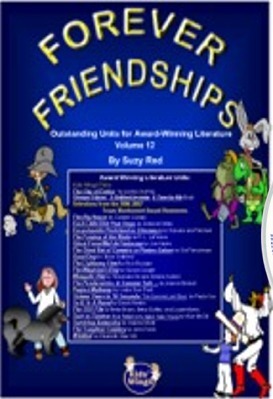 When you order our Forever Friendships Collection, you will receive 21 literature guides including The SOS File for less than $.75 each! It's an offer we hope you can't refuse ... while our limited quantities last! Use your Experiences to Become a Writer! where you learn to write with an ACTIVE voice! Read this story that uses NO conventions. Then, rewrite it using your best handwriting and the conventions of standard English! What is the SOS code?